LAPD Detective Lena Gamble is getting used to her new Homicide-Robbery Division assignment when an early morning call from her partner, Hank Novak sends her to a horrific murder scene in West L.A. A pregnant woman has been raped, murdered, and left posed grotesquely. Crime scene evidence initially points one direction, but further investigation muddies the water and the team is at a loss. Then Lena stumbles on a possible connection to a previous murder--and then several more. As she and Novak investigate, it becomes clear that they're looking for a serial killer--a very clever and powerful monster. 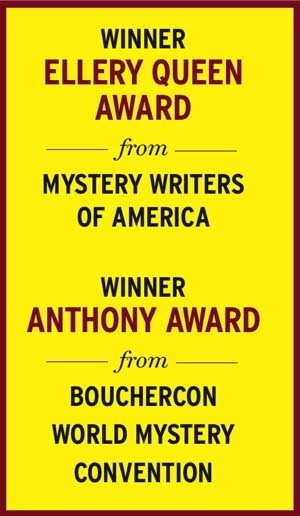 When a brutal double murder occurs, Lena discovers an important inconsistency in the evidence that might mean trouble for someone on the force. Lena's suspicions keep her on edge, but it's not until the reader is allowed inside the killer's head that the story turns chilling and the tension becomes unbearable. 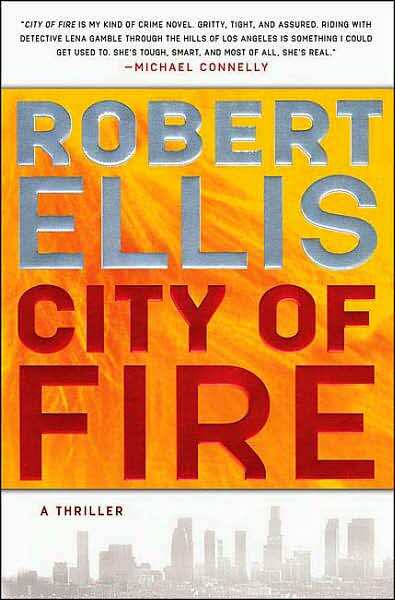 City of Fire begins like a roller coaster, building tension, anxiety and fear. Then it plunges at full speed, spiraling and twisting through scenes that will have hearts pounding and fingers flying through the pages. But there is no smooth braking to a stop in this book. It careens to the end and then flies off the rail with a shocking twist that will leave readers stunned. Robert Ellis is a master of suspense. He also knows Los Angeles. And his clear descriptions of forensic investigative techniques are more than impressive.